Battlefield 1 Overture, out today on all platforms, adds the first German War Story to the game. Set in the Rhine-Rhur region in Spring 1945, it puts players in control of a German tank crew as they desperately try to stave off the enemy at their borders. Needless to say, this point of view isn’t one we’ve seen often in games or movies for that matter. In fact, it created controversy even before the launch of the German War Story. 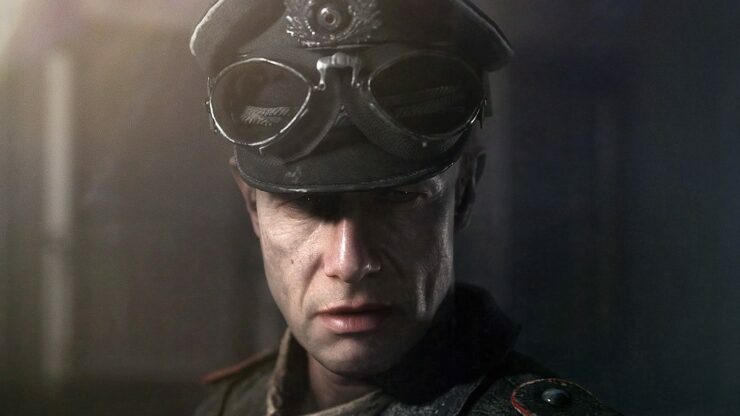 In an interview with GamesBeat, DICE’s single player design director Eric Holmes said that the story isn’t about letting anyone off the hook on the German side. Still, he’s confident the story is moving and has power. I’d say this is a story – how to describe it without spoiling things? It’s hard to dance around. We don’t distinguish between Nazis and Germans. We’re not trying to get anyone off the hook, or represent, shall we say, good Germans versus bad ones. I think what we’re exploring is what spread in that society, what was communicated, and what that did to people. We’re not trying to split that point down the middle. We’re exploring what it was like for a fictional crew of a real vehicle, and try to use that as an exploration of, what does that mean to them? I think we’ve got something that’s really — I think it has something to say. It’s moving. It’s not a bubblegum story. It has some power to it. I’d actually love to talk to you about it after you’ve played it. But we’re definitely not trying to split hairs or be apologetic in any way. We’re trying to explore four people fighting for that army. What brought them there? What are they like? What was it like to be there? What is exposed about them? Creative Director Lars Gustavsson added that it’s one of the strongest War Stories made so far by DICE, and it’s been validated in-house with people from all nationalities to ensure it was portrayed respectfully. Already, with Battlefield One, there was interest in seeing us portray more sides of the war. We felt that with this story, we had a very — capturing, as Eric mentioned, the Tiger during the war as almost the Spitfire of tanks, but also to be able to portray the German side with all the implications that come with that. We worked hard at validating — how do we walk this line with topics that are still relevant today, portraying them in a respectful way? We reached out to a lot of people within the organization, and also, the team here is quite large. The studio is quite large. We probably have somewhere – I haven’t counted recently, but 20 or 25 nationalities within the studio. The mantra is always that when you go home from work, you should feel proud of what you do. If anything feels off, you should speak up. It’s been a constant conversation within the team and within the organization to ensure this is something we can be proud of. I’m really proud of what the team has managed to pull off, both from Eric’s side — the narrative side, the creative vision of it – and the execution. As Eric mentioned, it’s one of the strongest in terms of the V/O design and how we constantly build up the personalities of the crew as time passes. We hope that it’ll land well. The War Stories, like the prologue, portray the breadth and the different perspectives of the war. Hopefully, we’ll finish on a high with all these different human destinies during the war, giving you a wider perspective. What we managed to pull off in Battlefield One sparked a lot of interest in finding out more about events that took place. Hopefully, we’ll manage to do that with this game as well. How do you feel about this German War Story? Let us know in the comments.